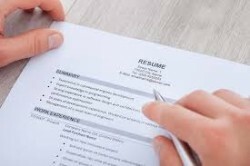 If possible, tailor your resume to fit the particular job. Remember that a resume is only a summary, not a full-blown account of your every career move. Keep it brief – three pages is more than enough detail. Include basic information (such as full name, address, telephone number and other contact details) on the top of the first page. Next, list your educational qualifications, starting from the most recent and working backwards. Then, list your employment history, once again starting from the most recent. Include position, company and length of employment. For each previous job, only list pertinent and interesting details. Don’t just retype your job description – write about your accomplishments. Include specific information if you can. Use numbers and figures. For example, instead of saying ‘raised funds for projects’, put ‘raised over $100,000 per annum’; rather than ‘supervisory position’, write ‘supervision of 25 people’. Explain any gaps in employment history, if you have them. For example, you may have taken time off to travel or further your education. Consider including a summary paragraph of your work skills. Include any other skills that may be relevant such as first aid training, a forklift licence or typing ability. Include references or contact details for referees. Avoid using gags or novelty tactics to flag attention to your resume. Always type your resume on white A4 paper, and don’t include little gifts or send your resume in unusual packaging. These tactics are just annoying. Attach a short, to-the-point and professional cover letter. Include a summary paragraph to sell your experience and qualifications.